RN Associate Mara Revkin, in an article for Atlantic Council’s EgyptSource, offers a detailed analysis of the complex dynamic that has led to the proliferation and popularity of Shari’a courts and vigilante security groups in the “economically destitute and politically disadvantaged” Sinai Peninsula. Noting the historical basis for informal dispute resolution, she highlights that the weakness and negligence of the state, as much as religious fundamentalism, is responsible for the spread of Shari’a courts and the rise in shadow state ‘security’ organizations. Read the full article in EgyptSource. RN Chairman Chibli Mallat, in an op-ed in Ahram suggests immediate measures that President Morsi could take to avoid a military coup in Egypt including appointment of an opposition figure as prime minister and formation of a representative and comprehensive coalition cabinet. He also identifies key actions related to human rights and the constitutional process to facilitate a calmer, more unified Egypt able to attract tourists and foreign investment. Read the full article in Ahram. RN Chairman Chibli Mallat in an op-ed in Ahram notes that Egyptian Preisdent Morsi’s unilateral constitutional declarations are beyond presidential authority and suggests a a public policy statement of accountability that would address critical issues in the transitional period as an alternative mechanism to mitigate division within the country and revive the collective spirit of the Nile Revolution. Read the full op-ed at The Daily Star. Rather than enshrine the democratic aspirations of the Egyptian revolution, the draft Constitution to be put to referendum in mid Dec. is faulty in execution, lacking in legitimacy and a set-back in terms of rights and liberties. Thousands of Egyptian citizens have been pouring in the street to ask for ‘a constitution for all Egyptians’. Thousands others are marching for ‘legitimacy and Islamic law’. In the profound political and constitutional crisis in which revolutionary Egypt finds itself, one matter is certain: the constitutional process was rushed in the week of 22-30 November, and the Draft Constitution that emerged on Friday is highly divisive. The presidential announcement setting the referendum on December 15 is bound to make the crisis worse. How does the Draft Constitution compare with the Amended 1971 Constitution it is meant to replace? Read the full article at Ahram Online. 1. “Egypt’s Leader Offers Concession.” BBC, December 9, 2012, sec. Middle East, Link. 2. “Egypt’s Morsi Annuls Constitutional Declaration.” RIA Novosti, December 9, 2012. Link. 3. El Deeb, Sarah. “Egypt Protest Call Renewed After Mohamed Morsi Annuls Decree.” Huffington Post, December 9, 2012. Link. 4. Hussein, Abdel-Rahman. “Egypt: Mohamed Morsi Cancels Decree That Gave Him Sweeping Powers.” The Guardian, December 8, 2012, sec. World news. Link. 1. Chibli Mallat, Reading the Draft Constitution of Egypt: Setbacks in substance, process, and legitimacy, Ahram Online, December 2, 2012, Link (last visited Dec 2, 2012). 2. UN OHCHR, UN High Commissioner for Human Rights, Navi Pillay, alarmed by Egypt violence and by “major problems” with draft Constitution, United Nations Human Rights, December 7, 2012, Link (last visited Dec 7, 2012). 3. Egypt’s opposition protest on Friday to reject constitutional declaration, draft constitution, Ahram Online, November 29, 2012, Link (last visited Nov 30, 2012). 4. Abdel-Rahman Hussein, Egypt to pass draft constitution despite protests, the Guardian, November 30, 2012, Link (last visited Nov 30, 2012). 5. Jeffrey Fleishman, Egypt passes rushed draft of constitution amid popular anger, Los Angeles Times, November 29, 2012, Link (last visited Nov 30, 2012). 1. The new constitutional text of the declaration issued by the Mursi – Editorial, Tahrir News.com, November 22, 2012, Link (last visited Nov 30, 2012). 2. Ekram Ibrahim, Salafist support for Morsi limited to recent constitutional declaration, Ahram Online, November 29, 2012, Link (last visited Nov 30, 2012). 3. Chibli Mallat, President Morsi: The Dubious Authority of a “Constitutional Declaration”, JURIST, November 29, 2012, Link (last visited Nov 30, 2012). 4. English text of Morsi’s Constitutional Declaration, Ahram Online, November 22, 2012, Link (last visited Nov 30, 2012). 1. Constituent Assembly, دستور مصر : الصفحة الرئيسية‏ Egypt Constitution (2012), Link (last visited Oct 11, 2012). 2. Associated Press, Egypt releases draft of constitution for debate, October 10, 2012, Link (last visited Oct 11, 2012). جمال عصام الدين, ننشر مسودة الدستور الجديد الأولى التى وضعتها ‘التأسيسية’ للطرح على الرأى العام – بوابة الأهرام 3, Al Ahram, October 10, 2012, Link (last visited Oct 11, 2012). 1. Sherif Tarek, President’s reinstatement of Egypt parliament met with praise, indignation, Ahram Online, July 8, 2012, Link (last visited Jul 9, 2012). 2. Ashri: President Morsi Reinstates Parliament, Siding with Popular Will and Rule of Law, IKHANWEB, July 8, 2012, Link (last visited Jul 9, 2012). 3. Egyptian President Mursi reverses parliament dissolution, BBC News, July 8, 2012, Link (last visited Jul 9, 2012). 1. Tamim Eylan, Egypt assembly tries to uphold constitution hopes, Reuters, June 18, 2012, Link (last visited Jun 19, 2012). 2. SCAF to amend Constitutional Declaration to gain legislative, financial powers, Egypt Independent, June 18, 2012, Link (last visited Jun 18, 2012). 3. English text of SCAF amended Egypt Constitutional Declaration, June 18, 2012, Link (last visited Jun 18, 2012). 4. Egypt’s military grants itself sweeping powers, BBC News, June 18, 2012, Link (last visited Jun 18, 2012). 1. Miriam Fam, Egypt Passes Parties Law, Sets Date for Parliament Elections, Bloomberg, March 28, 2011, Link (last visited Jul 5, 2012). 2. Mohammed Mahmoud, Amendments to Egypt political parties law open door to competition, Al-Shorfa.com, March 26, 2011, Link (last visited Jul 5, 2012). 3. Factbox: New law opens door to political parties in Egypt, Reuters, March 28, 2011, Link (last visited Jul 5, 2012). 1. Michele Dunne & Mara Revkin, Overview of Egypt’s Constitutional Referendum, Carnegie Endowment for International Peace, March 16, 2011, Link (last visited Jul 3, 2012). 2. ElBaradei rejects proposed constitutional amendments, Egypt Independent, March 6, 2011, Link (last visited Jul 3, 2012). 3. Egyptian Constitutional Amendments HLS study- Comparative Chart, Right to Nonviolence Announcement, March 8, 2011, Link (last visited Jul 3, 2012). 4.إستفتاء.مصر – الاستفتاء, Website Referendum Amendment [Arabic], Link (last visited Jul 3, 2012). 1. 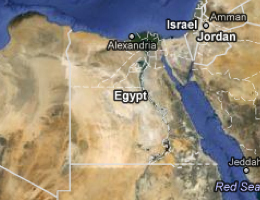 Egypt: Constitutional Proclamation, Scoop News, February 14, 2011, Link (last visited Jul 9, 2012). 1. Lisa Balydes & Safinaz El Tarouty, Women’s Electoral Participation in Egypt: The Implications of Gender for Voter Recruitment and Mobilization, 63 Middle East Journal 364-380 (2009). 2. BBC News, At a glance: Egypt’s constitution (2011), Link (last visited Jan 10, 2011). 3. Nathalie Bernard-Maugiron, The 2007 Constitutional Amendments in Egypt, and Their Implications on the Balance of Power, 22 Arab Law Quarterly 397-417, Link (2008). 4. Nathalie Bernard-Maugiron, Strong Presidentialism: The Model of Egypt, in Constitutionalism in Islamic Countries: Between Upheaval and Continuity (Grote, Rainer & Röder, Tilmann J. eds., 2011). 5. Nathan J. Brown, Michele Dunne & Amr Hamzawy, Egypts Controversial Constitutional Amendments (2007), Link (last visited Jan 12, 2012). 6. Hatem Elliesie, Rule of Law in Egypt, in Understanding the Rule of Law in various Legal Oders of the World (Matthias Koetter & Gunnar Folke Schuppert eds., 2010). 7. Tamir Moustafa, The Struggle for Constitutional Power: Law, Politics, and Economic Development in Egypt (2009). 1. Tamir Moustafa, The struggle for constitutional power law, politics, and economic development in Egypt (2007), Link (last visited Jun 16, 2012). 2. Jeannie Lynn Sowers, The journey to Tahrir : revolution, protest and social change in Egypt, 1999-2011 (2012). 1. ArabNews.com, Egyptian judiciary rejects halting referendum on the constitution (2005), Link. 2. UNDP, Egypt’s Constitutional Amendments and Procedures (2011), Link. 1. Mohamed Azouz, Justice Ministry requests information on civil society groups, Egypt Independent, January 3, 2012, Link (last visited Jul 6, 2012). 1. Gamal Essam El-Din, A new page is turned, Al-Ahram Weekly, July 26, 2000, Link (last visited Jun 16, 2012). 2. Tamir Moustafa, The struggle for constitutional power law, politics, and economic development in Egypt (2007). 3. EOHR appeals for genuine guarantees for general elections, is concerned about government’s control over media, Egypt Organization for Human Rights (EOHR), March 23, 2000, Link (last visited Jun 16, 2012). 1. Nathan J. Brown & Lombardi, Clark B., The Supreme Constitutional Court of Egypt on Islamic Law, Veiling and Civil Rights: An Annotated Translation of Supreme Constitutional Court of Egypt Case No. 8 of Judicial Year 17 (May 18, 1996), 21 American University International Law Review 437–460 (2005), Link. 2. Clark B. Lombardi, Islamic Law as a Source of Constitutional Law in Egypt: The Constitutionalization of the Sharia in a Modern Arab State, 37 Columbia Journal of Transnational Law 81. 1. Nathan J. Brown & Clark B. Lombardi, Translation – The Supreme Constitutional Court of Egypt on Islamic Law, Veiling and Civil Rights: An Annotated Translation of Supreme Constitutional Court of Egypt Case No. 8 of Judicial Year 17 (May 18, 1996), 21 American University International Law Review 437-460 (2005). 2. Adel Omar Sherif, The Relation between Constitution and Shari’ah in Egypt, in Constitutionalism in Islamic Countries: Between Upheaval and Continuity (Grote, Rainer & Röder, Tilmann J. eds., 2011). 1. Hatem Elliesie, Rule of Law in Egypt, in Understanding the Rule of Law in Various Legal Orders of the World (Matthias Koetter & Gunnar Folke Schuppert eds., 2010). 1. Union agreement, (tripartite: Egypt, Syria and Iraq), Youssef Kazama Khoury, Constitutions in the Arab world (Provisions and amendments) 1839-1987 (1989), 570-583 (Arabic). 1. Issandr El-Amrani, The Emergency Law needs to go, The Arabist, September 15, 2011, Link (last visited Jul 6, 2012). 2. Egypt: Repeal Emergency Law, Abolish Emergency State Security Court, Human Rights Watch, August 3, 2003, Link (last visited Jul 6, 2012). 1. Al-Ahram Weekly, Egypt Constitutional history at a glance, March 9, 2005, Link (last visited Mar 16, 2012). 1. The Establishment of the Shura Council Representatives and the Election of its Members 1866, Youssef Kazama Khoury, Constitutions in the Arab world (Provisions and amendments) 1839-1987 (1989), 523-538 Link (Arabic).